FINALLY, we have an official date, name, and confirmation of the new coaster opening at Islands of Adventure this summer at the Wizarding World of Harry Potter. 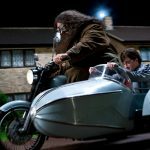 Hagrid’s Magical Creatures Motorbike Adventure was just announced as opening June 13, 2019! 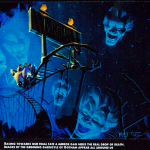 Now we have talked quite a bit about this ride here at Theme Park University. Will Star Wars Galaxy’s Edge and Hagrid’s Roller Coaster Hurt Orlando Theme Parks in Early 2019? This week the interwebs have been a buzzing with pretty solid rumors of a new coaster opening in the Jurassic Park section of Islands of Adventure. While we certainly have acknowledged that a coaster is coming to Jurassic Park here at Theme Park University, we haven’t gone into detail as to what’s coming… until now! Did Universal Orlando Make Another “Epic” Mistake With The New Harry Potter Roller Coaster Artwork? By now, you’ve probably seen the new teaser poster floating around the internet today of the new Harry Potter Coaster. Opening in 2019, the new roller coaster is taking the place of Dragon’s Challenge at Islands of Adventure. For months, we have written several articles about this new coaster. It will be themed to Hagrid. 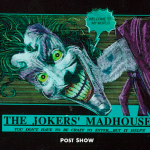 Since Theme Park University broke the news about an original attraction at Islands of Adventure was closing, we have gotten dozens of questions and comments. 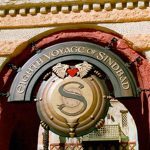 Indeed, as we originally reported, the Eighth Voyage of Sindbad is closing on Saturday, Sept. 15, 2018. 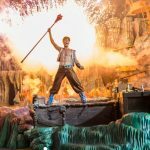 Universal Orlando has since confirmed the show would be coming to an end. 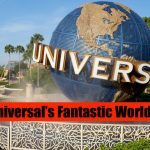 Could Fourth Universal Orlando Park Be Named “Universal’s Fantastic Worlds”?